Chashama Application Manager - Space to Present: 320 W 23rd St.
Space to Present: 320 W 23rd St. Thank you for your interest in Chashama’s Space to Present Program. This application form is specific to the new venue 320 W 23rd St. (Chelsea, NYC). Please read all the notes about this space before submitting your proposal. This space is raw (not white box). It will likely remain in a condition similar to the photo above. 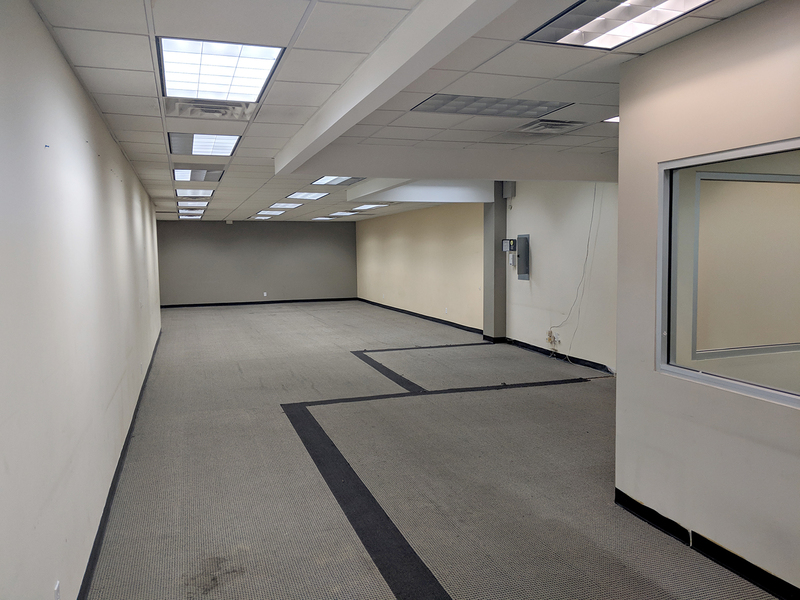 The space is approximately 2,200 sq. ft. of exhibition space. This space is made up of a vestibule and three distinct rooms. The rooms include: front room with window onto 23rd St., interior-windowed booth, large windowless interior room. The front room should be given special consideration, as it is visible to passersby and will be the best way to encourage walk-in traffic to the space. The space is outfitted with fluorescent lighting. No track lighting. Exhibitors are responsible for scheduling and staffing 20 public open hours per week. We can connect you to a list of potential gallery sitters, but they must be paid at least minimum wage ($15/hr in NYC).